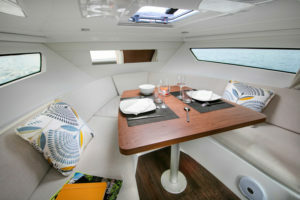 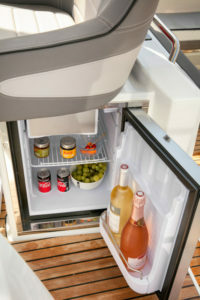 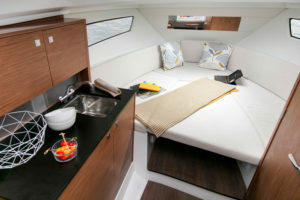 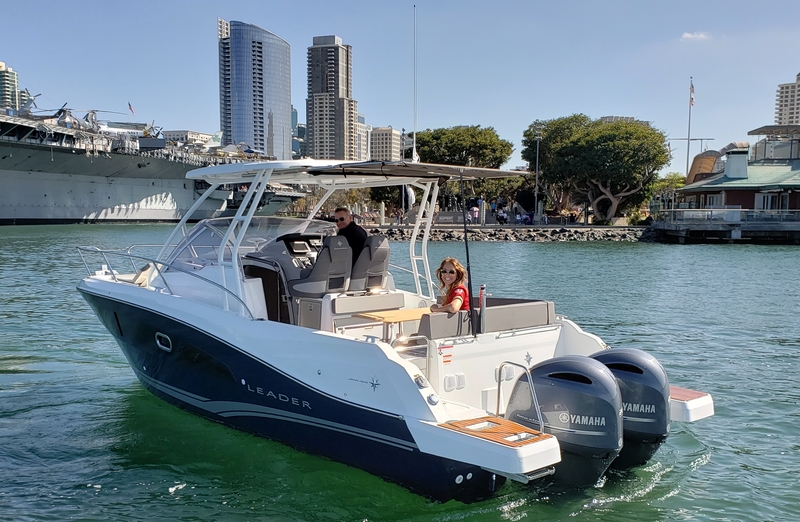 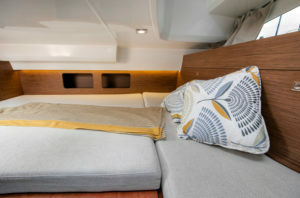 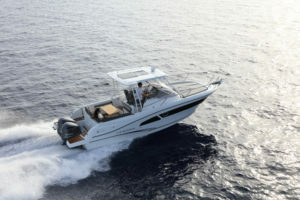 The new Leader 9.0 from Jeanneau Power Boats is a sport cruising boat with family-friendly spirit. 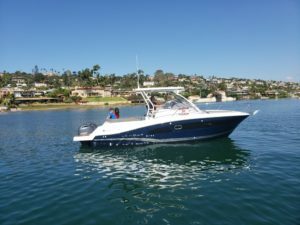 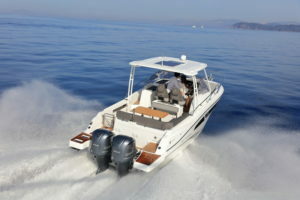 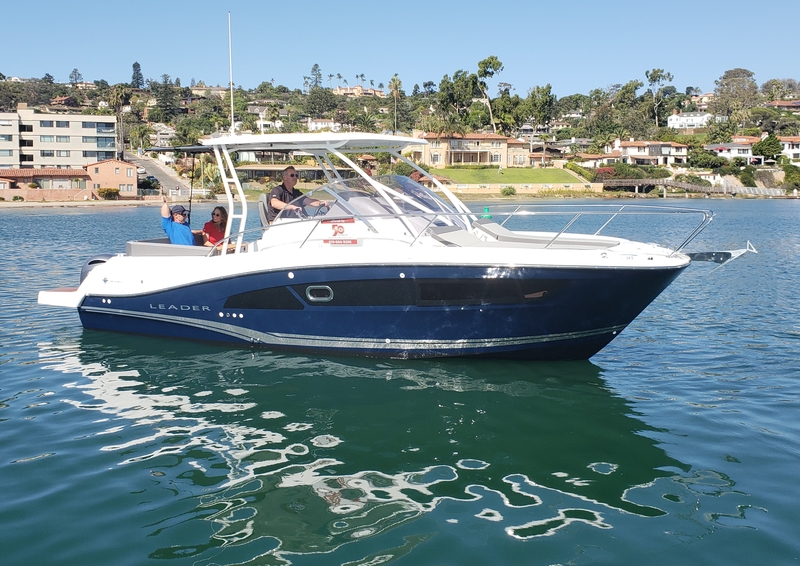 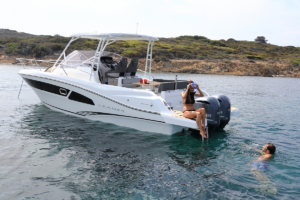 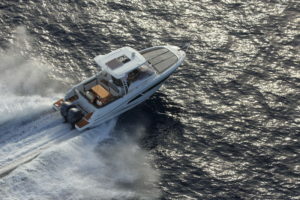 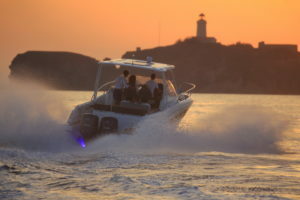 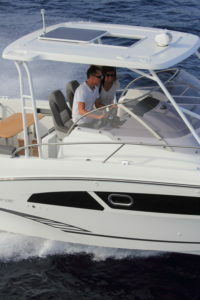 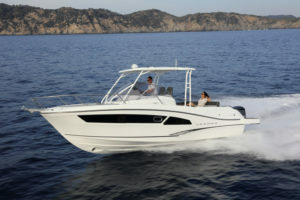 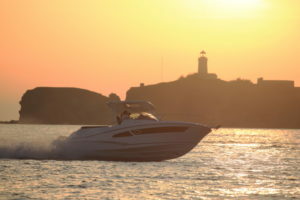 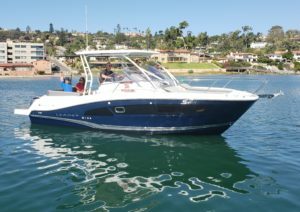 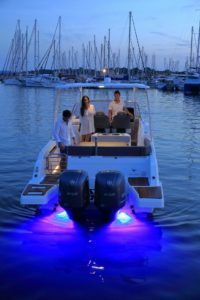 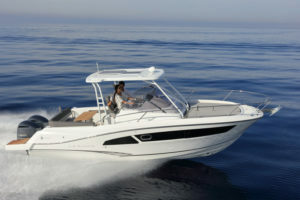 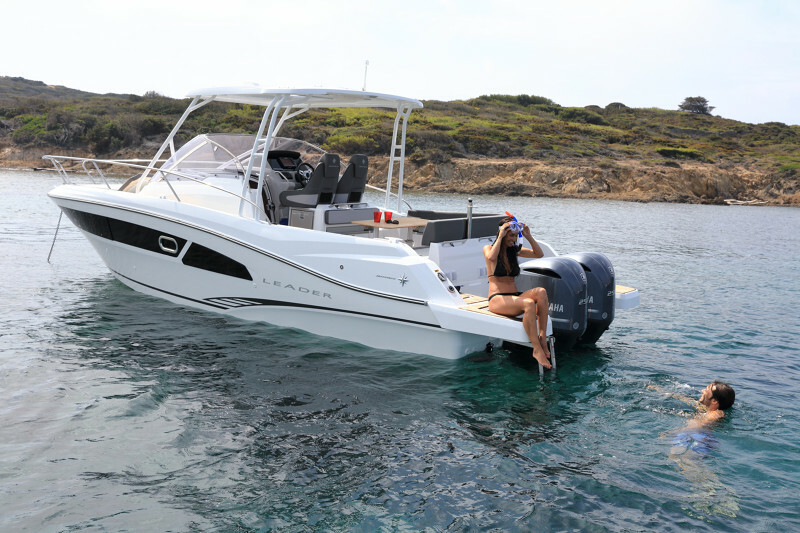 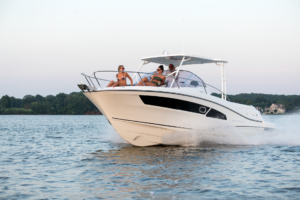 The perfect boat for weekend getaways, watersports, family cruising, or just a day on the water with friends. 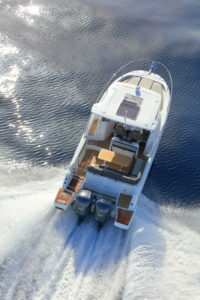 Her traditional V-shaped hull was designed by the famed Michael Peters of Florida. Stable and powerful, her hull ensures excellent seakeeping and very secure handling at sea for family cruising or sporty outings. 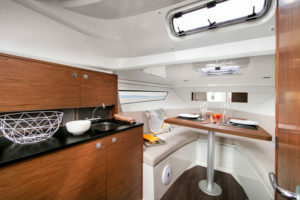 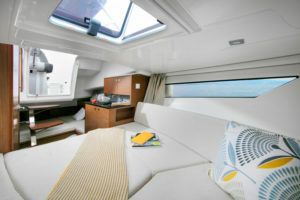 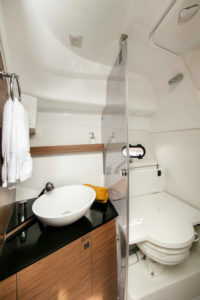 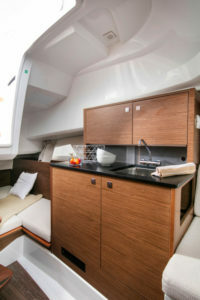 On the exterior, the vast cockpit benefits from a helm station with seating for two, a portside galley and numerous storage options.